Featured Apps, Sites of the Month, More! These tens of thousands of starlings were filmed in Israel, allowing all of us to enjoy their dramatic and graceful movements across the sky. Ireland is beautiful on the ground, but breathtaking from the air. In honor of St. Patrick's Day, check out the lush green hills, crystal-clear rivers, and more. Do you want to receive a text message to know when your 3 Rivers bill is available, if a change has been made to your account or other important information? Now you can! 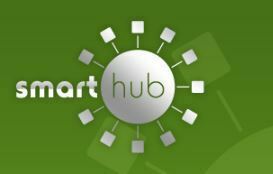 Check out the “Notifications” tab in your SmartHub portal. Select “Manage Contacts” and enter your contact method (alternate email addresses or mobile number). Next, tie your contact method to a notification using the “Manage Notifications” link. Click on “Option” next to a type of notification and select the method through which you would like to be contacted. Like a party you can leave and return to any time, Houseparty lets you enter a virtual space with your friends with just one tap. Tired of searching your wallet every time you're at the cash register? Use Key Ring to organize your loyalty cards in one place. One of the most popular word games in the world, WordBrain lets you advance through stages to unlock hints and bigger boards. foodnetwork.com – What better way to celebrate National Tater Day (March 31 and, yes, this is a thing) than to gather some new tater-based recipes? Here you'll find all the classics, presented by Food Network's The Pioneer Woman, including Twice Baked Potatoes, Potato Soup, Potato Hash, and Scalloped Potatoes and Ham. rogerebert.com – If the recent Oscars have you in a movie-watching mood, visit this site to get inspired by the late, great film critic, Roger Ebert. Explore the reviews section, which you can filter by title, date, and more. Or go right to the Great Movies section to find a collection of Ebert's top picks. bhg.com – For gardeners, spring heralds the exciting planting phase. This handy checklist will help you make sure you don't forget any critical tasks including prepping, planting, pruning, and maintenance. Explore the site to learn more specifics like what to prune when, best rose care, or the proper way to weed. dickpritchettrealestate.com – Sometimes the best way to watch nature is from afar. This site allows you to view from home a bald eagle nest in Southwest Florida. Camera #1 is above the nest, looking down into it. Camera #2 is 60 feet from it. Camera #3 captures activity in the nearby pond.